Here’s the latest news about women in theater and film. The Good News: Pulitzer Prize winning playwrights Paula Vogel (left) and Lynn Nottage (right) bow on Broadway with Indecent and Sweat, respectively. Read the full article at Playbill.com. The Bad News: Only three 2016-2017 Broadway plays, including these two, were written by women. Terrific Read: Leah Nanako Winkler spoke to the Los Angeles Times about her play Kentucky, “the angry playwright label” and the intersection of race, class and gender. ICYMI, Part 1: Guardian article features Dame Harriet Walter’s plea for better roles for women on stage. ICYMI, Part 2: Scott Mendelson wrote a searing article in Forbes about women film directors needing opportunity. The best way to address the dearth of female-directed feature films: hire women. Simple as that. Opportunity: “BRIClab is a commissioning and residency development program for Brooklyn and New York City-based artists to explore and expand the possibilities of their work in music, dance, theater and multi-disciplinary performance.” Application Deadline: January 17, 2017. Apply at BRIC’s website. 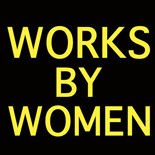 This entry was posted on December 6, 2016 by worksbywomen in Broadway, Film, Theater, Women and tagged briclab, dame harriet walter, Forbes, leah nanako winkler, Lynn Nottage, Paula Vogel.